Automate, track and manage your fundraising efforts from one dashboard. Streamline your event planning and fundraising efforts. Work for Greater Giving Event? Learning about Greater Giving Event? Greater Giving is a great event management tool that we use for the Non Profit Space when planning and executing a Fundraising Event. The ease of use when setting up tickets, entering values of the tickets, splitting out the donor portion and ease of auction item entry is great! There is no easy way to import the information from the event planning software to our accounting platform without paying for another add on. As a small non profit, the cost to deploy a bolt on product is not doable. When considering how to manage your events - I strongly encourage anyone to get away from spreadsheets and manual processing. Using an event software for regular fundraising events or annual parties is a much more efficient and accurate process. We are solving managing a 500+ person event with a variety of revenue streams before, during and after the event. Managing ticket sales, vendor donations, auction packages, general donations and recognizing volunteer hours/contributions is a daunting task that Great Giving Facilitates. We also use their payment platform for the event so all reporting and payment functions are streamlined. 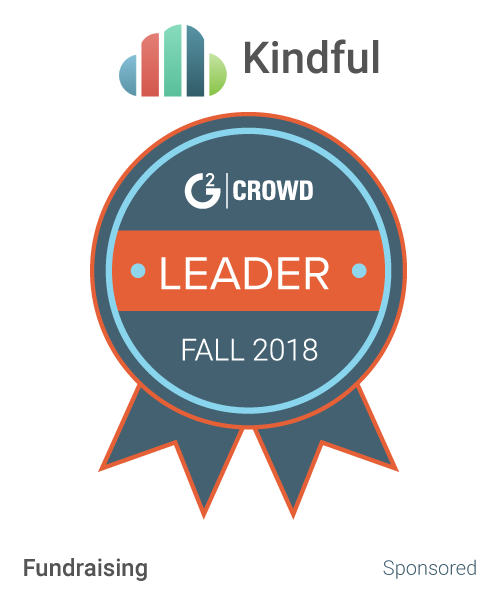 "This has been a great compliment to our fundraising software"
We got Greater Giving because our fundraising platform didn't have solid events management capabilities. We were using a different company but it just didn't have everything what we were looking for. I had read on multiple resources that Greater Giving was a really great compliment to our current fundraising platform. We've now used it for 3 large events and a handful of small events and it's been really great. The support is also very helpful. The chat/support function isn't as great as it was when we first signed up for Greater Giving. Greater Giving is great as a stand alone product and also as a compliment to other fundraising platforms. They were also generous and provided a small sponsorship for our first event to help ease us into the cost of switching companies. We have been able to manage all of our event fundraising and fairly easily transfer it into our large fundraising database. I loved the online bidding aspect of it. This year, out of 100 items for silent auction, I only had about five left. All the previous years we've had 10-20. I was also able to sell items that no one had bid on for years. Online bidding let our guests bid from the comfort of their tables. It brought many more bids than we've ever had before. It also increased how much money we made since we sold more items for way more than what they were valued at. I had four problems: the receipts, the app & card readers, texts, and data transfers. The receipts confused a lot of people because they would receive one when they checked out and one when the item was actually paid for. It made some people think they were charged twice. It would be nice if a receipt would just automatically be emailed once the item was paid for and that's it. With the app, I was really irritated to find that it was incompatible with the laptops we were using. We had to do everything through a browser. Since we couldn't use the app, we couldn't use the card readers I'd ordered, so that was a massive waste of time. When I ordered them, I let the company know which laptops we were using and no one said the app was incompatible. We still have to track the sales in our normal selling software, so I actually had to enter every sale twice. We sold it through Greater Giving and then had to enter it again somewhere else. Then I had to balance it. It made for a whole lot of work. Lastly, the text messages. A lot of users, including myself, never got the welcome text or any thereafter. I contacted support and was basically told "it's your service provider's fault and we can't do anything." That was really frustrating. Be prepared to spend a lot of time using it. I spent months taking pictures and writing descriptions for each silent auction item. You'll also want to take into consideration the associated fees and how much you'll make. Although we made more this year in our silent auction than ever before, the annual and credit card processing fees dropped us back to where we were. It's a very expensive program to use. I love it for the ease of the silent auction, but I would really like to see a price decrease. We'll continue using the program for at least another year. The main problem this addressed was raising more money with fundraising. The silent auction we have every year had been pretty slow. It was hard to sell items and we would end up recycling them every year. This time I opened up the bidding a week early, so by the time the event came around, about half of the items already had bids on them. We sold many things for more than I expected and we sold almost everything we'd been trying to auction off for years. It's a great way to increase silent auction sales for a non-profit. "Great Software but could use some work. " The fact that you can track your revenue easily from the dashboard. Also that I can use this even when I'm at home. I like the end of fundraiser tables and charts. This is great for meetings with board members. Too many functions, should be a little more simple. I do not want to deal with charts, I am simply the person who plans the event. I thinkt here need to be different portals for different people. This would make it much more user friendly than it currently is. Make the process easier to use. There are too many functions and sometimes it can get confusing. maybe have a separate system for the accounts employee to handle charts and graphs. Its too much for someone simply organizing the event. It streamlines our income all in one place. This takes away the need for employees to handle funds on their own. It also made our customers feel more safe, that their money was being tracked. Having files in the office is not safe. Having all of this online made my data more secure even though I could access it from anywhere. I am happy we used this software, but somehow it was not for us. "Best event software we found, but still some major issues." Registration process was easy for the public and visually the project website went with our usual branding. The organization of registered guests through tables and groups went well and the accounting side of the software worked very well. Support is also very helpful although multiple times they just couldn't assist as the technology wasn't available for my needs. There are significant limitations within Greater Giving, in particular the reports you are able to generate and download. Why on why would you organize reports (which can barely be edited) that are not created around columns and rows so that they can be easily manipulated in Excel? I also spent a significant amount of time trying to figure out which report worked for my needs by running them repeatedly because there is no master list/cheat sheet that lists out all of the reports and what they show. The project website is also a total pain to edit. It doesn't always save after edits and if you edit via one method it will override changes made if you edited through another method. This is insanity and required wayyyy too much thought on how to make edits to work around this problem. Traditional events or auctions that operate similar to events Greater Giving was designed around would probably do well on this system. If you have any irregularities (like Table Captains) then seriously consider the amount of staff time required to implement this solution. I suggest you work with the support/sales team first to ensure it would work with your event. Greater Giving was not perfect for our table captain based event but it is the best we were able to find. I'm hopeful that improvements will continue to be made that will continue to make the software more user friendly. We used Greater Giving for individual guest registration (a first with this event) and overall it went smoothly with a lot of behind the scenes work. We were able to manipulate the software to serve our needs and effectively manage registered guests and table captains as well as the funds that they paid. "Greater Giving is suitable "
The online giving pages are easy to set up and publish on our website. Logging in to retrieve the information is also seamless. I like how we are able to provide auto-generated emails for certain events and peer-to-peer fundraising pages. The Event platform could be less clunky. If we use the event platform for event day credit card charges, the receipts are difficult to find. Also check-in at events could move a little faster. I'm not sure how to make that happen. Also, we keep an alternative credit card processing platform for credit cards given over the phone or on event RSVP cards because the rates are lower than those of Greater Giving. Do your homework before switching to this platform. In some ways, it's easy enough to use and customize, but in other ways, it can be difficult to navigate and find the function you are looking for, especially on the event platform. So before you commit to this service, check with your CRM/Database provider to see if they have a similar product, you already pay for their customer support, it should be easy enough to include this as well. Greater Giving provides us with our online donations page, peer-to-peer platform, and our event pages. We also use it to log our in-kind gifts for events. The peer-to-peer platform is easy for our P2P fundraisers to set up on their own, with little to no help from the office. "Greater Giving offers a lot in one package"
Greater Giving's customer service is excellent - they were helpful every time I reached them by email or phone and were always able to provide me with the information I needed. They also have extensive videos available on their website to give tutorials and info to best use Greater Giving. There are so many different reporting options, that it took some time to find the report that matched exactly what I was looking for. When this would happen, I would contact customer service giving them my report criteria and they always assisted. If you are using Greater Giving for the first time, watching the tutorial videos is incredibly helpful. The last thing you want during a large-scale event is to have software issue and need to troubleshoot because you are trying to navigate the software. Both times I have used Greater Giving were for larger (350-500 people) fundraising events and it helped track revenue, attendance, and it was able to generate receipts for those who purchased items and/or made donations. "A good option - Greater Giving"
I like that all aspects from ticketing, to table assignment, to auction items, and receipts are in one place. There can be too many steps on night of registration which delays our check in process. Running an auction with not a lot of employees is difficult. This software helps us save time, and it is easy to train temporary event staff how to use it. I liked that this software managed registration, that the credit card swipers were free, that it was easy to duplicate events, and that it saved the contact information for contributors. I found the customer service to be lacking. I would get different responses from different people on what we could/could not do. Also, the fees are significantly higher than that of Event Brite, who now is in charge of our events. I didn't think that the website design was professional looking - it was very bland and did not incorporate our brand into it. I am solving our need to manage our events effectively. I have realized that there are a lot of different event softwares out there and it is hard to find one that met all of our needs. Greater Giving met all of the needs - with the major exceptions of customer service, cost, and web layout. Event Brite seems to be a much better fit. "Confusing and expensive - not right for us"
They have really good customer service skills, when you communicate with them, they are always very nice. This was important because there were a lot questions while trying the software and later after trying cancel and not being able to. The sales person told me there would be no penalty if we canceled in 6 months. We tried the software and it is very complicated and does more than we need. It is also rather expensive. It turned out the fine print in the contract meant we owed hundreds of dollars even though we canceled before 6 months. Greater Giving was understanding and worked with us, but we felt mislead and it left us with a bad taste. Understand that you WILL be paying for this software, even if it is a trial basis. The demonstrations did not show me how complicated it is. If your organization has a lot of people who are really technically savvy, you will probably do well. For an organization like ours, it was too complicated, then difficult to cancel and we had to pay to get out of it even though we were told no penalty in writing up front. Managing events. The ability to create a website for the ticketing was a nice feature. I work for a National non-profit and having all our chapters on one system that is internet based is a huge plus (previous system offline). Easy for all levels of staff to use. Support to users from a National or Regional level is easy. We work with a great National Account Manager from Greater Giving. Software is fairly easy to learn and use. Our biggest challenge is not being able to see donor information across projects, rather this is event specific so you are looking year to year at participation. Also, as a National Organization we have some specifics we would like tracked but they don't necessarily apply to other GG clients. Customization of some areas would be a plus per Organization using the software. We have been able to get custom reports which has been helpful. This is a comprehensive systems thus for our Organization get a National contract and pricing makes a difference compared to smaller organizations. But even at the basic auction management, table sales and receipting this is a good system. My children's pre-school uses the software for their annual fundraiser and it meets their needs. Having one system to track auction, sponsorships, tickets, donations along with the management of tables and guests. Plus having a website linked to the project is helpful. Our organization will be using the software on site at events now vs. the offline GG software and this has streamlined event prep and offered a much better solution on site and post event. "It Does Everything And Does It Well"
Their Go Time feature, which is the portal used during the event itself to check people in and out, has a clean and and easy to use interface, which is great if you have volunteers that are capable but not experts. The import/export feature is a life saver when it comes to updating supporter info. One of the biggest advantages is the option to collect and save credit card numbers when tickets are bought so that attendees do not have to swipe their cards the night of the event. This really speeds up check in and check out times. Additionally, the ability to group attendees and assign them to tables takes the headache out of table assignments. They also offer excellent support via phone and chat and I have never left without my question answered or problem solved. Their bid sheets could really stand to be more easily customizable. I find the project website to be needlessly arcane. There is very limited choice for layout and design. I would appreciate template options and a drag and drop feature. I truly despise the interface for the downloadable event software that you use during the event. I recommend using Go Time instead. Greater Giving and the structure and organization is has provided us has greatly increased our ability to keep up-to-date data on our donors and event attendees, and has made the entire event, from planning to execution, go as smoothly as possible on the software front. Go Time has really improved both user and supporter experience during the events by cutting down check in and check out times. Greater Giving really supports our staff prior to the event as well, and our events could not be done without it. "Greater Giving Helps Our Programs Customize and Plan Their Events "
Programs can use Greater Giving for their auctions, friend-raisers, drive events, and to register people for groundbreakings or open houses. With the ability to choose and customize ticket, donation and sponsorship packages, programs can raise money for their events before attendees even walk through the door, and their supporters who may not be attending still have a chance to give or support the program. In addition, our event managers are able to organize, group, and assign table and bid numbers to all who are registered through the site, which gives them peace of mind and the ability to pull a report for day-of management. My favorite part, as an Administrator of Greater Giving for all of our various programs and events, is that the support team working for Greater Giving is fantastic. Almost everyone I've spoke with has been helpful and quick to solve problems great and small. I especially love the online chat option- it's convenient and allows me to multitask. Lastly, I've heard multiple times from all sorts of program events that the site saved them time and headache in regards to day-of gift processing and post-event receipting. The credit card machines help with the registration lines and being able to pull and send receipts after the event give the program managers the freedom and time to customize their personal thank-yous without worrying about the technicalities. Without fail, one of credit card machines for the day-of Go Time software never works. Typically my programs order 2-3 machines (the number is based on how many people/how much money you expect to process at your event), and one of them always requires that the card information is typed in manually instead of collecting it through the swiping machine. I'm still not sure why this happens, but I count on it now. Another caveat to Greater Giving is that it's not entirely user-friendly, i.e., it requires some training to use. I have created a contract of sorts for our program/event managers outlining what our Fund Development office will do for them in regards to Greater Giving (creating the Project, setting up their packages, importing/exporting donor information, and pulling reports for receipting and reconciling), and what their program is responsible for (customizing/designing the site, importing of the gifts, assigning groups, tables and bid numbers to their attendees, and the Sponsorship advertising). We also offer to train the program or event person who will be managing their site, and of course offer ourselves as a support line as well as direct them to Greater Giving resources and support team for the tricky questions. - As an administrator, be clear on what you have capacity for, and offer to train program users for the daily maintenance and customized work. - Order your credit card machines for day-of Go Time at least 2 months in advance. Know the expected/projected amount to be raised at the event for accurate costs of the machine rentals. - Never hesitate to use the support line! - Have a plan before the event site is set up for reconciling the money with your accounting department and program managers. Greater Giving has effectively helped our programs save time and energy on the day of and post-event with registration and receipting. We also have heard that our programs appreciate being able to capture donor information and organize the seating chart in one place. Much of our donor database is older and many people are still more comfortable sending physical checks, but as we continue to use Greater Giving and offer online giving options, I think we will continue to hear positive feedback. It's easy to use and navigate. I like that I can make a favorites list of reports that I use on a weekly basis. I like that GG stores your constituents so that you don't need to re-enter them for each event or from year to year. The 24 support is fantastic especially during an event. GG is also fantastic for the ability to keep track of guests, seating people and keeping track of meal requests. The one major thing I do not like about GG is that it is not compatible with Rasier's Edge the fundraising database that we use to keep track of our constituents/donors. I know that there is a way to import the data from GG into RE but I have not found a clean way to do that yet and usually have to enter all the information twice. I recommend GG because they have 24 hour support, so when you are having a panic moment in the middle of an event someone is there to help you. You can also put in requests to have someone come to your event to help with the whole event. Even though this is our first year using mobile giving and I can't review it quite yet, the fact that they offer mobile giving is a plus. This is one of the newer trends for events and it is great that it is offered. Our annual gala is held in the winter time. More than a few of our donors have seasonal homes and are not able to attend. This year we have added mobile giving this year to our event. We have noticed that this is the newest trend during large galas around our community as well as at larger nonprofits. Our committee suggested that we add it to this years event. This will allow non guests to bid on auction items. We also have someone coming to our event from GG to assist during the night of since this is our first year using the mobile bidding software. The other positive is that we do not need to download the database from the night of as the new software is web based. Greater Giving was utilized for event specific websites and to gather information about guests and to accept payments. What I liked best was how GG could be used as the same platform for a whole suite of fundraising events, so there was a continuity about using one platform for several events. What I most disliked about GG was that it didn't feel very modern, or very intuitive. It was difficult to figure out what features were available and how to utilize them. I will say there were many features, but it wasn't as intuitive as other software I've used. The biggest benefits realized is organization. Having the ability to utilize GG at different points of the event process - fundraising, silent auction, night of, prior registration and donations, etc. So beneficial to have one all-around tool to turn to. The ease of payment capture and the mobile bidding functionality was the biggest time saver for us. Our bank was massively over-staffed because we were so accustomed to being slammed with paper receipts and bid sheets, but for the first time our staff was able to enjoy portions of the auction ceremony. The donors and bidders had so much fun using their phones to try and outbid their friends. This was our first foray into the world of mobile bidding and payment, and I can't believe how smoothly everything went. It was difficult navigating the interface and search parameters to pull the exact lists we needed for sending out thank you letters and receipt letters after the event. We had to do a lot of cross-referencing with our donor database. I also found the thank you letter templates and editing interface to be extremely frustrating and we ended up printing a large amount of our thank you letters through our donor database instead. If you are looking for a way to streamline your fundraiser process and donor/gift database, Greater Giving is an excellent resource with phenomenal data capture and event management tools. Their support team is A+++ and is always gracious and more than helpful. "Relatively easy to use once you learn the program "
One stop shop for managing your fundraising database, from donors, to sponsors, to event attendees. Loved that I was able to go in update a sponsors information and click right over to update an event attendees information. Easy to manage event registrations (which can sometimes be a pain). Often times it can be slow when there is a high volume of people using the software. Ensure that you have specific people who's primary role is to assist staff with training and usage of greater giving. Greater givings support team is wonderful, but having a point person at the organization I was at previously was key. We could reach out to her with all initial troubleshooting questions we had, and if it was a bigger problem, we would call greater giving. Searching for a streamline way to manage a database with both large scale donors and small donors, as well has managing event registrations for large, upscale events. "Wonderful fundraising software for non-profits - Greater Giving "
Greater Giving has been a wonderful platform for our organization to use for special events. It captures all guest, sponsor and auction information that we need to steward, cultivate and solicit for future fundraising opportunities. The pre-event registration does not currently have the opportunity for contributors to pay the credit card processing fee so that it is not passed along to the organization. It allows us to use it for our special event database. It captures all historical data in one place. "Online event software that really made the grade!" The functionality of this product made it so easy to use as an on the fly addition to my Relay for Life work. Easy for everyone to use. Super simple! Perfect for auction fundraisers. Can't say enough about how this solution helped! There isn't anything about this product not to like. Huge timesaver. They even offer a 14 day free trial so you can test it out before you commit. If you aren't tech savvy utilize the online web based training. Makes a simple product even simpler. Had to create on the fly auction for a Relay for Life fundraiser. This was so simple to use. Saved me hours of work on eBay. "There is no product greater than Greater Giving!" The online functionality of the program made inkind gift donations, sponsorship, and table seating easy. Payment reconciliation was also very easy, and the customer service was/is superior to any auction or event related software I have worked with. We use Raiser's Edge and the initial uploading of people and information to set up the database required a lot of hand work because the process wasn't seamless. Their use and application of the cloud software for event management is right on. Administrators to volunteers can easily use the product for office or onsite job functions with minimal training. We were able to eliminate a lot of the paper records as well as compare year to year giving with the quick and easy canned reports that are available through the software. In addition, less man-hours are required for reconciliation and collection. Our organization also found that guest check-in and registration was easier and a better experience for our event attendees. "Greater Giving has been an improvement over our previous system but needs to be more user-friendly." I like that the system has flexible capabilities to do donations, fill in text boxes for journal ads, donations, and sponsorships in a way that is clear and straightforward for users. The interface is very user-friendly from the front end and has become more so over the past couple of years. It gives us the ability to design the pages to look nice and appeal to our audience. I don't like the way the "supporters" and "reports" are set up on the back end, particularly for organizations - it's a big mess. We have a large number of duplicate records and records missing information because the setup doesn't make it easy to add or change. Additionally, the constant changes in the appearance of the back end are confusing. Also, the lack of pre-event bidding and mobile bidding integrated into the system means that we have to have several different systems whereas if Greater Giving could do everything, we would have just one. Make sure it meets all of your needs. There is no ability of the system to do pre-event auction bidding or mobile bidding - all of that needs to be purchased through separate systems which makes integration somewhat of a challenge. How to accept pre-event money for galas and processing day-of money. We have consolidated a lot of the information we'll need to collect through custom-made forms on the website. I like the reporting features specifically related to auction items. I found them useful and unique amongst software peers. Most fundraisers use a database separate from greater giving. I found i was doing double the data entry with little added value. I also think the check out system for events is awful. It is not user friendly, error prone, and not fast enough to meet the demand of 2500 guests checking out. Decent to use if this is your only database and you are trying to get a group of less than 200 through checkout. If either of the previous statements don't apply to you, find another software. The number one problem to solve is having a smooth event and check out process. This system was tedious but did make for an organized pre-event. Where it failed was in the critical check out process. Everything is manual data entry and does not go well with event volunteers even with the provided training. Sometimes it can be difficult to find the report you need for a particular export. I would recommend this software to anyone who is new on mobile bidding or anyone overwhelmed with doing an auction via bid sheet. The program is user friendly with phenomenal customer support. This really helped us to modernized our annual gala and engage the young professional community. Greater Giving is incredibly easy to use and very thorough in making sure you have everything from beginning to end of your event. From an amazing support staff, ease of use database, and extensive reports, you can't go wrong with greater giving. There really isn't anything that I dislike about greater giving. Greater Giving allows us to keep track of all of our auction items, sponsorships, and ticket sales, as well as being our software for check-in, check-out and processing credit cards after the event. "Provides a great customer experience!" The software is a little expensive. Therefore, we can only use it on our high-income fundraising Halas and events. We only use Greater Giving for our gala events because of the price point. However, the system allows us to request giving landing pages that are easy to use and are visually sleek. The product is web base so you do not require a server to setup. We use the system for our major annual fundraising event. It allows us to take reservations (sell tickets), event website, collection donation items, seating arrangements, event checkin/checkout, sell auction items using a mobile site, send out thank you letters/receipts, paperless system, and accounting. "An friendly fundraising software package! Take it from an Intern!" The entire suite was very friendly and easy to understand. While I was a gala and auction intern, I used the registration tracking feature to ensure all guests were accounted for. I also used the web site design feature that was included in the package to create the registration web page for the gala. And with a little HTML, I was able to make the page even better. As I was using Greater Giving, I was also looking into other Fundraising suites and noticed that not all of them had a very appealing user interface. Although this is a problem for all of the suites, I wished it looked more polished. Greater Giving is a great fundraising suite, and has essentially everything you need in terms of back-end processing. We needed to create a website that could register our gala members and record their bids in our auctions. And thankfully, Greater Giving solved both problems. It just makes things a little more easier and a little less stressful knowing that it's all integrated. "Greater Giving was a useful tool for my organization's auctions and check-in/check-out process"
Greater Giving allowed my Advancement team to organize, track, and record all incoming auction donations through the event software. From these individual donations, our team was able to utilize Greater Giving to package these items appropriately. Also, Go Time is simply a must for check-in/check out. Greater Giving has really come a long way! When we first started using the software in 2011, there were many components that we didn't consider user-friendly. Following our event, we reported these issues to customer service and they were taken into consideration. Since then, Greater Giving has become much more reliable. Previously, the check-in/check-out process caused many challenges but now with Go Time, the process is a breeze! It speeds up check-in/check-out which makes our guests happy! No more issues with attendance tracking, table assignments, and receipt printing. Also, no more syncing with the main server!! I still think that removing duplicate names is frustrating. There's no easy way to go about it other than starting from scratch when you create a new event. And I think the reports that the software allows you to print could be more user-friendly. I worked for a Catholic K-12 school in south Texas and our annual Gala is the signature fundraiser. In a small town, you compete with larger organizations for attendance at your event. I may be biased but I do believe our silent, live, and elite auctions were the best, hands down, and that's what attracted our large turnout every year, especially the key players. Now that could be because we had dynamic auction committees who dedicated countless hours to obtaining sought-after, in-demand, tantalizing products, activities, trips, etc. but I also have to give credit to GG's event software that made their jobs much easier! Greater Giving made the entire event run smoother, sped up wait times, and helped us put together attractive packages. Also, having a GG rep on site during the event was a lifesaver! "Making the Switch: From Paper to Mobile Bidding"
Greater Giving offers a variety of features that make uploading/ tracking and logging simple. Our gala's silent auction goes towards numerous different accounts - so setting up the auction items per account is very useful. As far as mobile bidding goes- several of our participants liked the push notifications and gamification of the bidding process. The reports are easy to export - once you figure out which report to pull. Exporting receipts is also very simple. Mobile bidding proved to be a challenge due to a variety of factors: wi fi connection, lack of smart phones, individuals not flowing through the space to view items, challenges in removing/ canceling a bid, pushing back the closetime, etc. Allow yourself / staff plenty of time to upload packages. The mobile bidding program is best suited for an organization / event that has smartphone savvy, a great wifi connection, and organized auction packages. For our organization, we will continue to use Greater Giving but without the mobile bidding feature. "I wish all databases were as easy to use as GG!" - I wish class would carry over when converting Items to Packages. I know the issue is that some packages have more than one item, but it would be super easy to default to one of the classes and then change it if need be. We have mostly single-item packages, so it felt like a waste of time to have to go back and add the class to packages. - When indicating which packages you want in catalogs, you can only do a list (1, 2, 3, 4...) instead of a range (1-4). - I like the variety of reports available on default, and I mostly get what I need. But it would be nice to have some sort of functionality that more easily allows you to create your own reports and that more easily exports to Excel. Often if you export to XLS, it still looks like a PDF, and it's not very useful in an Excel. For example, you'll get extra lines between entries so if you want to manipulate or sort the data in any way, first you have to delete the lines or otherwise set up the spreadsheet differently. - We found a bug in the system that allowed someone to place a higher bid after another bidder had already selected Buy It Now. I already notified the support team. - Sprint users were not able to receive texts during Mobile Bidding. More organized, nice to have everything for the auction in one place. Multiple staff are able to work in the database at the same time. We don't have to worry about taking the database off the server and backing it up a million times and all that stuff we did with the PC version. Smoother and easier for registration. Much easier for volunteers to check people in and help guests. Fewer mistakes in bidding since it's electronic and not paper-based. Mobile bidding did not increase our income, but we had fewer people this year than last, so we're working on analyzing the data to control for that. "Good event management and credit card processing"
The event management platform is pretty comprehensive and I like that it keeps track of constituents as well as auction items. For the most part, GG is user friendly but sometimes the connections between the event pages that are created and the management platform are not always clear. Page management is not always user-friendly. Definitely like being able to pull comprehensive accounting reports at the end of an event. "Great tool to simplify fundraising!" The slight learning curve for new users, need to train volunteers prior to use. Adding features that give new users step-by-step instructions. A "trainee" or "volunteer" mode. We're able to expedite silent auction check-out and guest registration during fundraising events. Greater Giving makes fundraising for non-profits simple, easy, and efficient. I highly recommend this software to any non-profit that is looking to effectively grow and professionally manage donor and event information in a user friendly, polished manner. I honestly cannot identify anything about the software that I disliked. It was easy to learn and extremely helpful when organizing sophisticated fundraising events that did not allow room for much error. The benefits of Greater Giving are endless. It allows you to systematically organize data critical to the effective management of non-profit donor relations. I don't like that I have to rebuild the website every year. Definitely make the switch! Greater Giving is the best! It has made running our event way easier! Greater Giving is a great software to track event sponsors, attendees and raffle and auction items all in one place with easy to run reports. Date entry could be more concise. Duplicate entry is often required for different items. If you are looking to improve your fundraising event, Greater Giving is a great place to start. Guest lists and seating are accurate and make check in easy. The use of recurring donations has been effective in getting board members to donate. The user interface is not particularly friendly, no ability to change credit card information for a donor online. GG is helpful for running Auction events, but could use refining. Not the most intuitive software packages out there. The website form management is nice as well as GO Time (check in, check out and store front). Reports, Bulk Seating assignments, Exports and Imports are clunky. All in all GG is a good product. Enhancements in Reports, Import, Export and bulk seating would be very helpful. Managing silent and live auctions efficiently. Calculating sales tax and printing/emailing receipts. "There are better online donation platforms"
The organization website and GoTime software are very efficient. I don't like how complicated the system is. Donation tracking and event management. The live phone auction feature is an amazing feature that makes doing an auction much more enjoyable for guests. It is a great program if you are looking to host a gala with an auction component. The ease of setting the the information for the events - registrations, gifts, tables. The export is not great and needs to be manipulated to be in a good format for importing into Raiser's Edge. Greater flexibility with how our events are set up and the kind of events. "Used for auction and donation management." Variety of reporting mechanisms, provides nice print-outs and data analysis. Could have a newer, modern interface/site. When working in multiple tabs, sometimes it glitches and makes you start the task over. When working it multiple projects, it thinks it should be in one and so exits the other, causing delays. i liked the service's back end data organization. At the time, i did not like their mobile fundraising services. More education on the new mobile giving services. How to increase revenue in our auction. * We monitor all Greater Giving Event reviews to prevent fraudulent reviews and keep review quality high. We do not post reviews by company employees or direct competitors. Validated reviews require the user to submit a screenshot of the product containing their user ID, in order to verify a user is an actual user of the product. Hi there! Are you looking to implement a solution like Greater Giving Event?